Without newspapers and bookstores, the first century populace depended on verbal stories for information and entertainment. Yes, there were writings in which information was recorded, decrees were issued and laws were written down. Yes, religious teachings were preserved, constantly studied, and formed the theological foundation for daily living. Our New Testament is critical to a sound faith, recording not just historical facts, but foundational truths about God, redemption in Christ and how to live in a complex and often destructive world. We have the story of Jesus recorded by four different gospels, each one telling the truth of God’s grace in their own voice, which offers us a broader understanding. Mark is the shortest gospel, with a less nuanced style and hard-hitting narrative. Mark is also the earliest gospel, leaving out the dramatic post-resurrection appearances of Jesus recorded by Matthew, Luke and John. Mark ends showing us three grieving women who discovered the empty tomb and were terrified by the possibility of life after Jesus. We can analyze their seeming lack of faith and speculate about what followed. The other gospels fill in the blanks of life after the cross. But be careful that you do not miss either the honest realism of those women’s reaction or Mark’s forceful message of grace that is the center of the cross. 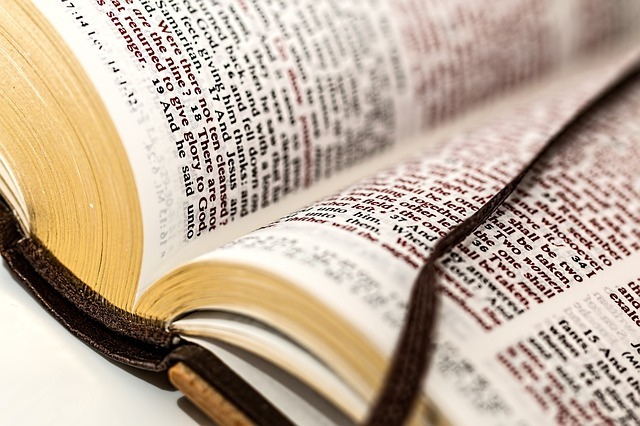 Through the years I have suggested to new Christians that they begin their study of the New Testament by reading Mark, then filling in the blanks with Matthew, Luke and John. A child can understand the final scene of Mark’s version, but there is more there than it seems. God has the power to bring the dead back to life. Simple … but is it really? The women came to the tomb in the darkness of finality, ready to complete the unfinished Jewish burial rituals on Jesus’ body. They were in shock. What did resurrection mean to them in their awful haunting memories of the cross? Was resurrection the idea of a spiritual life after death, beyond what anyone can see in this life? Did it mean truth or spiritual life was something that continued in the heart, mind and practice of daily living for those who believe in God? I suspect, given their reason for coming to the tomb, they could not see beyond the image of Jesus’ death. They were going through the motions, as we all do at the death of a loved one. Mark is not writing about a symbolic or mystical life in this resurrection story. The Apostle Paul expresses clearly the idea of the resurrection life in Romans 6:4: “Therefore we have been buried with Him through baptism into death, in order that as Christ was raised from the dead through the glory of the Father, so we too might walk in newness of life.” Philosophical wanderlust is not a part of this resurrection life Christ has made possible. The biblical narrative is not a philosophical meandering. God is as real as life today and beyond what we call reality. We join those women at the empty tomb and discover there is much more to life than seventy years and memories. There is life in the grace of God. Let’s rejoin Mary Magdalene, Mary the mother of James, and Salome as they go to Jesus’ grave one last time. They carry the necessary spices and fret about who can move the heavy stone covering the burial chamber. The tomb is not only open, but there is a young man in a white robe who announces that the crucified Jesus has brushed death aside as though it was a no longer needed robe. “Go, tell his disciples … and Peter … (Jesus) is going on ahead to Galilee” (v. 7). Astounding! Unbelievable! Jesus is alive! Jesus’ resurrection means death is not the final exit. Pay attention to the messenger’s words, for here is the fullness of God’s gift of life: “go tell his disciples and Peter.” Do you understand that the cross is centered on God’s grace, his gift of forgiveness that heals the broken heart and wipes away the scars of failure and hopelessness? “And Peter,” the messenger says: Peter who denied even knowing Jesus when he was confronted by a servant girl in the courtyard of the high priest on the night of Jesus’ betrayal! (Matt. 26:69-75). Mark did not need any additional conclusion to his gospel. He ended triumphantly with God’s grace as the message of the cross and resurrection. The life God gives us is based on God’s grace that extends beyond our failures, sins, ignorance and flawed thinking. We can insert our own names in the angel’s instructions to the women on resurrection morning: “Go tell his disciples and ___________.” Jesus has risen and in the grace of God you can know his love and promise of eternal life! May the joy of Easter be yours.